The Little House of Concrete Bookshelves: Colin Cotterill "The Woman Who Wouldn't Die"
Three months into his retirement the former national coroner of Laos still isn’t free of the demands on his time resulting from his former status, and one suspects further episodes in this quite wonderful series are going to depend on the number of ways author Colin Cotterill can find to have Dr. Siri Paiboun conscripted into some scheme that might or might not be in the national interest but will certainly have some impact on some high-ranking official’s peace of mind. This time around a clairvoyant has told the Minister of Agriculture she can locate the remains of his long-lost dead brother, presumed killed in a covert military operation organizing guerrilla attacks on royalist held bases. According to the Minister’s Vietnamese wife his brother’s spirit is restless, and according to the psychic the remains are located in a sunken boat on a bend of the Mekhong, not far from the village of Pak Lai. Predictably, the minister assembles a team to get the bones back and will, of course, need a pathologist to verify the identity of the bones once they’ve been excavated. Dr. Siri might have retired, but he’s still the only man who can do the job, and this time, given the psychic element, he’s interested in going. The clairvoyant, the widow of a rich royalist who had dealings with Vietnamese interests and connections to the Lao hierarchy had been on a trip to Vietnam to pursue her business interests, returned home and was murdered in her bed by an alleged burglar. 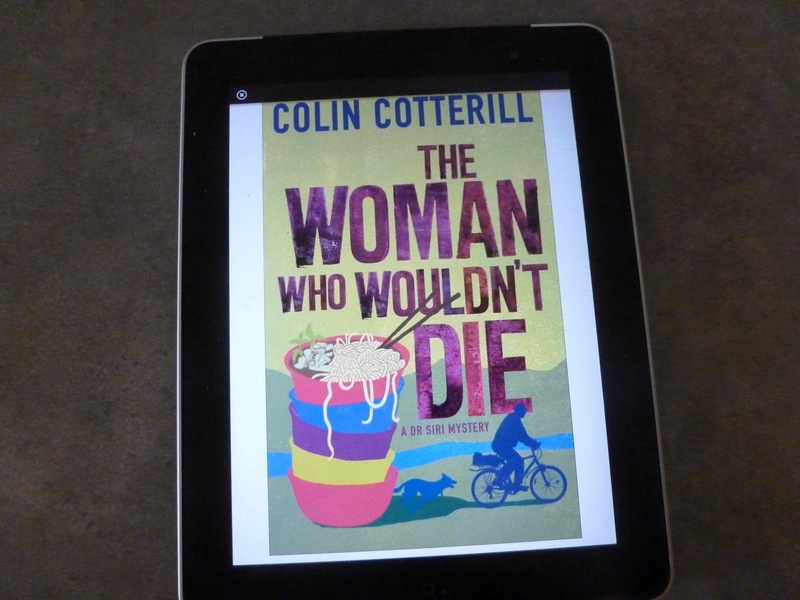 Her neighbours took her body and cremated it, but three days later she was back, large as life having picked up the ability to communicate with the dead while she was away though she had managed to pick up a slight Vietnamese accent along the way. The village was convinced she was a witch returned from the dead. Before long there’s a steady stream of visitors passing through the village, looking to contact their dead relatives, which is what brought the minister and his wife into orbit around her. Those of us who’ve been aboard for a while know Dr Siri, while he’s an educated, rational man of science, happens to be hosting the spirit of a thousand-year-old shaman and while he’s subsequently able to see the ghosts of the dead hosting the spirit of Yeh Ming doesn’t automatically deliver the ability to understand what the spirits are saying to him. Under those circumstances the opportunity to consult with someone who might be able to clear the channels of supernatural communication is something he’s obviously going to take. Under other circumstances, of course, Siri would be quite happy to sit back and enjoy life and noodles with his wife, Madame Daeng, he proprietor of the best noodle shop in Vientiane, and the rest of the regular cast, but since he’s been called away on this junket he’s going to include them all on the junket, isn’t he? There’s another factor in the decision to get out of town and take a couple of his acolytes with him. A tall, handsome, elderly Frenchman arrives in Vientiane and starts asking after Madame Daeng’s whereabouts. It’s obvious he’s planning to kill her and settle an old score (and the fact that he’s suffering from terminal cancer adds a degree of urgency). That dovetails nicely with another strand of the plot line. With Siri’s encouragement, she’s writing her memoirs, which, predictably, are largely concerned with the role she played in the postwar for struggle for independence from the French and while we learn that Madame Daeng was attracted to Siri from the moment she first saw him many years ago the really interesting part of the story is her career as a sort of Laotian Mata Hari, uncovering French secrets and killing her share of French officials along the way. That wasn’t only prompted by nationalist sentiments, there’s a wrong that needs to be righted in the form of a terrible injustice a pair of Frenchmen had visited on her sister. So off they head on their little junket, Siri, Madame Daeng, his former morgue attendant Geung and, predictably, Civilai, temporarily out of retirement on political matters along with the clairvoyant, who’s a little too attractive for Madame Daeng’s liking. They’ve left Nurse Dtui and Inspector Phosy behind in Vientiane, which is handy because someone needs to investigate the clairvoyant’s background. And, as far as clairvoyants are concerned, when it’s all over and the mystery has been solved, they’re back in Vientiane for the party to celebrate transvestite fortune teller Auntie Bpoo’s impending death, an occasion that allows Phosy, Madame Daeng and, of course, Siri to explain the finer points of the solution over Cabernet Sauvignon and Champagne. 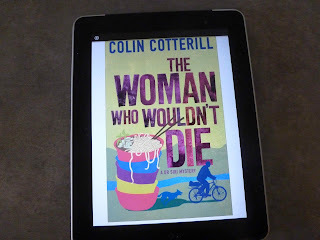 I had, leading up to The Woman Who Wouldn't Die been harbouring the suspicion that Cotterill had taken Dr Siri about as far as the characters and their circumstances would allow, but there are a couple of touches that turn up herein that suggest there’s a fair bit of life left in the series as long as the author can come up with a plot scenario that works. If he’s looking for a starting point, of course, there’s always Siri’s ongoing tussle with the housing authorities regarding the number of people living in his house, an issue that produces an interesting solution that helps out the investigation here. On that basis, after initial misgivings, I’m inclined to see the emergence of Cotterill’s other series, the Jimm Juree stories, as an undoubted good thing. This interview with Cotterill suggests he was starting to get a little formulaic with the Dr Siri tales, and needed the new series to keep things fresh. On the strength of this latest title, which is as good as anything that’s gone before, I’d agree.